This is in reference to a 2011 lecture entitled “Plato’s Philosophy of Art”, given by Dr. James Grant of the University of London, Birkbeck. An audio recording of the lecture can be found at the bottom. Today, Plato is probably known best for his work Republic, an outline of a highly idealistic and just city-state. 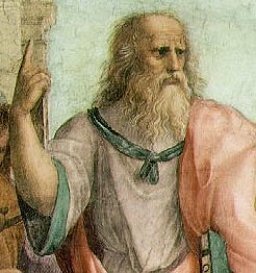 Many remember bits and pieces from their Intro to Philosophy classes, but a criticism that is generally brushed over in discussion of the Republic is Plato’s flat-out renunciation of art. A prerequisite in understanding Plato’s position is realizing the role that art, and specifically poetry, played in Greek culture.